What is the difference between receiving the Holy Spirit and being filled with the Holy Spirit? I have met with a Christian woman from the church of a different denomination and we begin talking about receiving the Holy Spirit. She was trying to convince me that I must be baptized with the Holy Spirit and she said that when you repent, you are led by the Holy Spirit, He rebukes you, and guides you, but He is not in you. But when you are baptized with the Holy Spirit, you are filled with the Holy Spirit. Is it any difference between receiving the Holy Spirit and being filled with the Holy Spirit, or not? Read the whole book Acts and note wherever the Holy Spirit is mentioned.You can follow my example of noting in the International Inductive Study Bible namely, to draw a flame or any other sign you want everywhere the Holy Spirit is mentioned together with the personal pronouns or synonyms that relate to Him. Make a chart of two columns and in the first column write all that you learn about receiving the Holy Spirit and in the second column all that relates to the filling with the Holy Spirit or being filled with the Holy Spirit. In the end, write your own conclusions. Even if it is written that they were filled with the Holy Spirit, the context shows us clearly that that happened to the apostles for the first time and that the Holy Spirit had not lived in anybody of them before, but He came and filled them for the first time at that moment. The same day, when Apostle Peter preached to the crowd gathered because of what had happened, he made reference to the prophets from the Old Testament and He said that then, in the day of Pentecost, God had poured His Spirit on every being and urged all of them to receive the gift of the Holy Spirit. When It refers to courageous Christian actions and especially related to preaching the Gospel in dangerous situations, the Word of God describes those who have preached that they were full with the Holy Spirit. Thus, after the apostles Peter and John had healed the crippled from birth at the gate of the Temple and after that great evangelism had been, when thousand of people believed and repented, the apostles were brought before the Synod, where they talked being “full with the Holy Spirit” (Acts 4:8). After Peter and John had spoken before Synod, they came back to the church that was praying for them, so that the Lord might give them power to proclaim God’s Word with boldness. All Christians described in this passage had received the Holy Spirit long before, but then again they were filled with the Holy Spirit and that was manifested by the way they were preaching the Word of God with boldness, without being intimidated by the enemies of the Gospel. When it was the need in the first church from Jerusalem to choose deacons, the apostles told the whole assembly to choose “seven men of good reputation, full of the Spirit and of wisdom”.So, people could recognize those who were full with the Holy Spirit by the way how they behaved day by day and that they were obedient to all teachings of the Lord Jesus and were sharing God’s Word with power and boldness, without fear or being intimidated by anyone. The Scripture relates us details about Stephen, one of these deacons. His filling with the Holy Spirit was manifested by the fact that he preached the Gospel with boldness even to martyrdom. In the end, I want to tell the Christian woman who asked me that question, that every man receives the Holy Spirit when he enters the New Covenant of the Lord Jesus by faith and repentance. 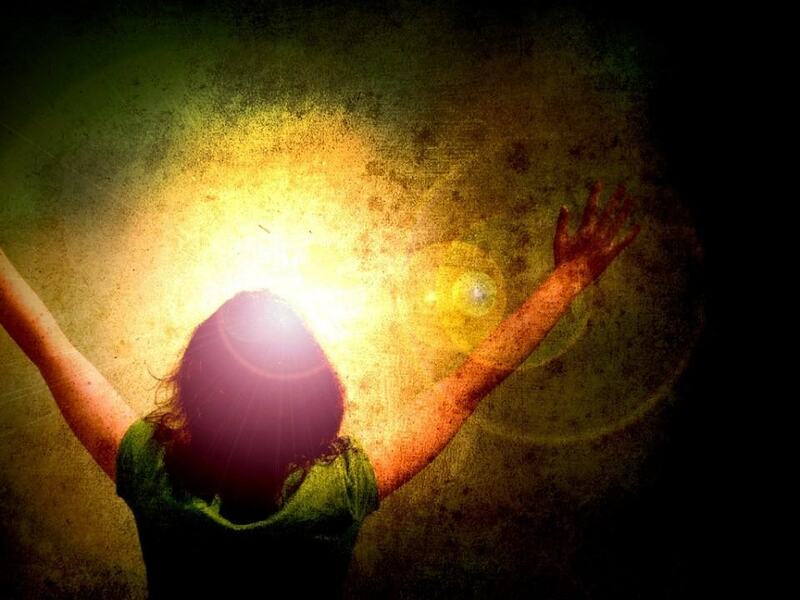 Receiving the Holy Spirit is identical to the baptism with the Holy Spirit and filling with the Holy Spirit takes place when we are not intimidated or defeated by fear, but with boldness we go and do what the Holy Spirit who dwells in us urges us to do.God help us to live in this way.